Recycling App now available in Derry City & Strabane District Council! 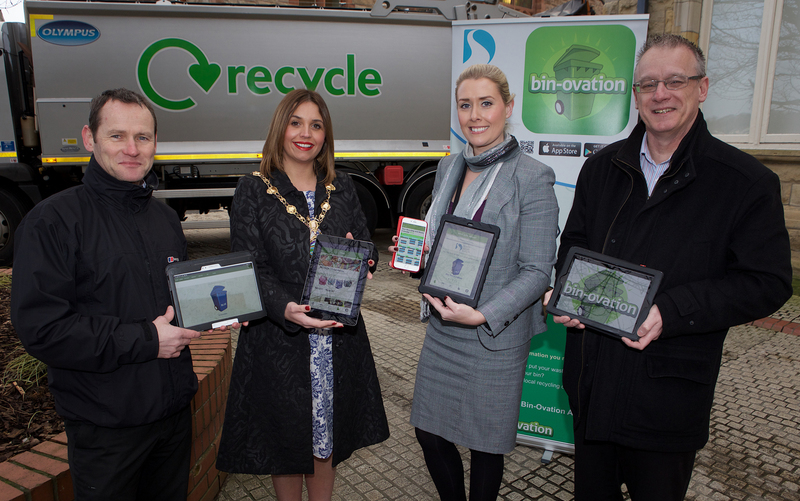 Derry City and Strabane District Council has become the latest local Council to promote recycling by implementing Bin-Ovation; a new free App that is revolutionising recycling for households and local councils across Northern Ireland. Mayor of Derry City and Strabane District Council, Councillor Elisha McCallion, and Council’s Waste and Recycling Officer, Julie Hannaway attended the launch of the App at the Guildhall today.